"It just depends on how I'm feeling in the morning." Boxy white top, pleated waist denim striped shorts AND gladiator sandals - it's feeling a little 1990s in here. This time around, I really like this silhouette. 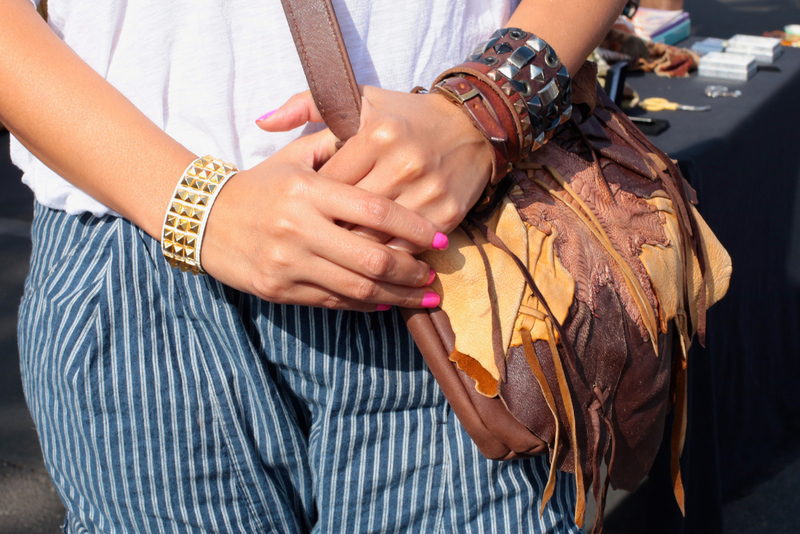 Style is in the details, like her studded cuffs and patchwork leather handbag. Gaze upon her gladiator sandals.